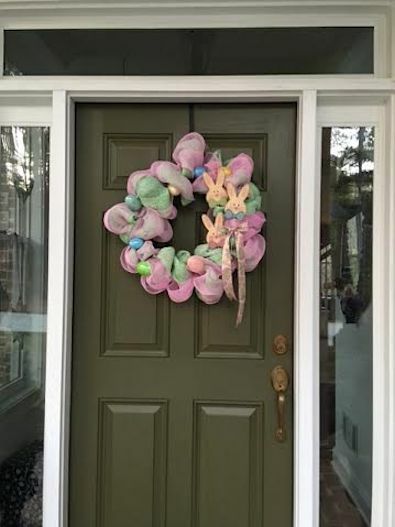 I love Easter decorations. 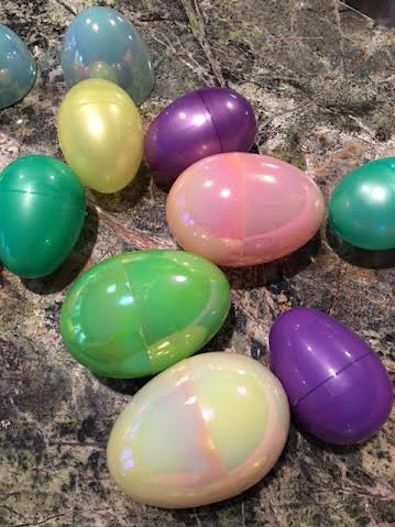 I love the pastel colors and bunnies and carrots, and I do love jelly beans and chocolate eggs.  To make this holiday even more special, we made some wreaths. 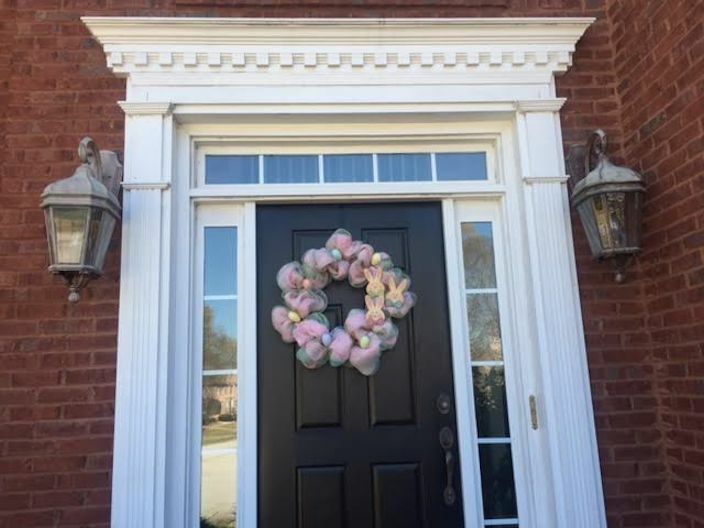 My mom, my friend Gina, and I made seven wreaths to adorn our doors. Each wreath was a little different although some used similar elements. 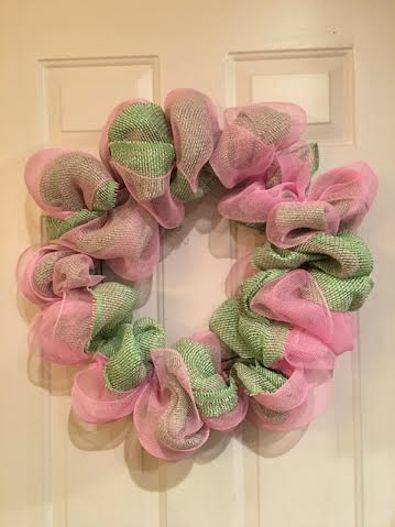 All used the paper and nylon mesh found in craft stores. 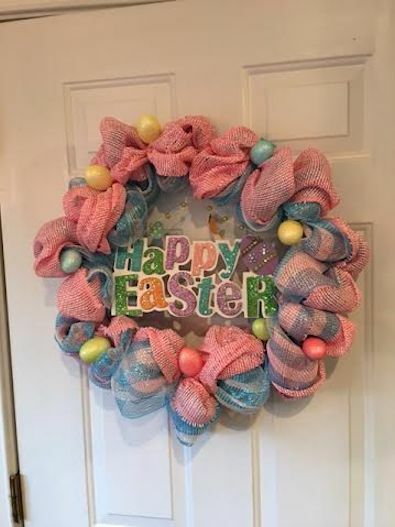 This is an example of a base wreath. 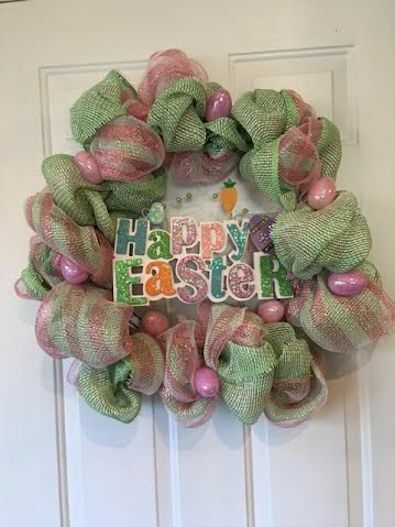 To make the base wreath, we gathered together 15 feet of nylon mesh and 15 feet of paper mesh. 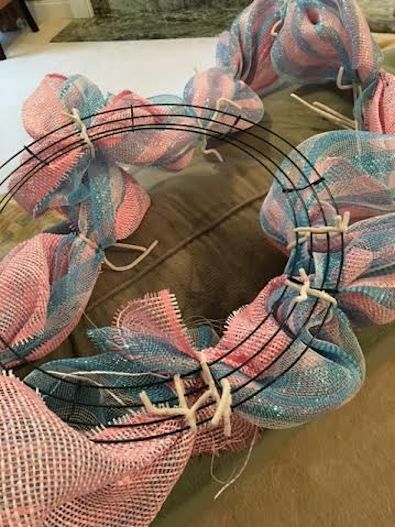 We twisted pipe cleaners around the two pieces of mesh in equal segments and attached the backsides to a wire wreath form. Not difficult but a little unruly. Then, we started the fun part of adding the embellishments. 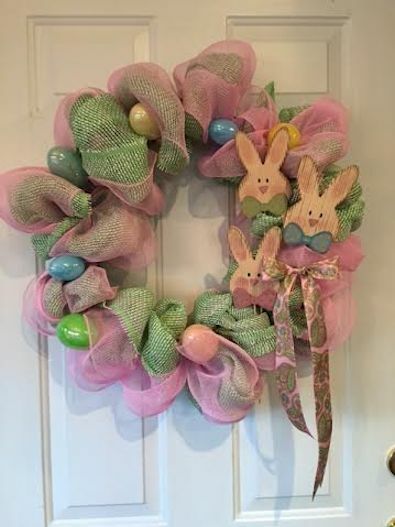 On a few wreaths we put the bunny trio. 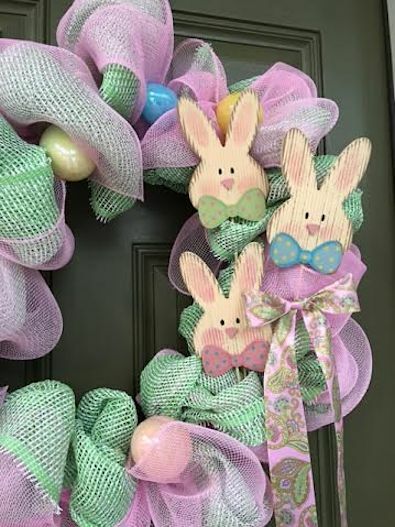 You can see them on my front door. And Gina opted for the bunnies, too. 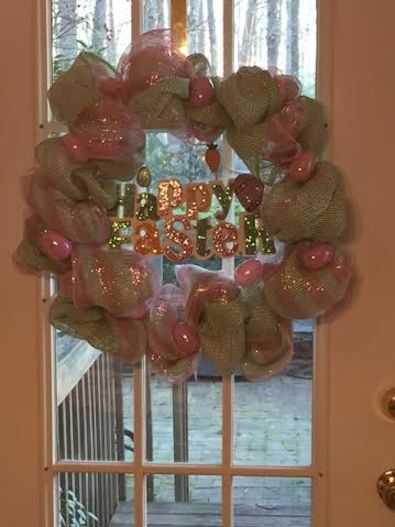 To some of them, we added Happy Easter signs. Gina’s mom put hers on her deck door instead of outside. I like the iridescent bulbs on this one. Finally, our friend Nancy received this one on a late night bunny visit. I love the pink and blue together. She was a good sport about letting us in even though it was a little after everyone’s bedtime by the time we finally got done with everything and drove over there. We had lots of fun making them and even more fun giving them away.